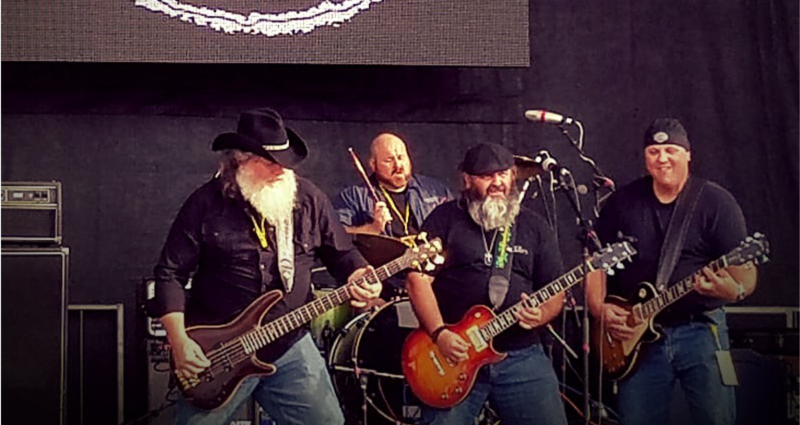 The Harley Rev Band is from the Portage, WI area and features Harley Smalley as the lead singer and lead guitarist. The rest of the group is Chris Smalley-drummer, Jeff Owen-bass guitar & vocals and Larry Kirker -second lead/rhythm guitar & vocals. Before Harley was called into the christian music scene, he was the lead singer of a very popular AC/DC tribute band. He now brings those vocals to the Harley Rev Band along with the rest of the band, round out an 80’s classic rock guitar driven “BIG” high energy sound. The Harley Rev Band shares a message of peace, hope, and faith through their original music.